Free enrollment in an upcoming Scrivener online class. Diana: A video interview that may be used in conjunction with the Kiss and Thrill interview, or on another site (possibly including DianaBelchase.com). Video may also be posted on my YouTube channel and will be available to post on your own website. If winner is not an author, it will be reasonably tailored to their needs and used as best suits them. Winner must arrange to be filmed in the DC area or at a conference where we are both attending. Video to match limits of previous work as seen on my YouTube channel. Prize must be used within 18 months of winning bid. Offer to critique a synopsis (up to 10 pages) or a query letter. Sharon: Critique of the first 5,000 words of a romantic suspense manuscript and a 675 word synopsis for the prestigious Daphne Du Maurier contest sponsored by RWA’s Kiss of Death Chapter. 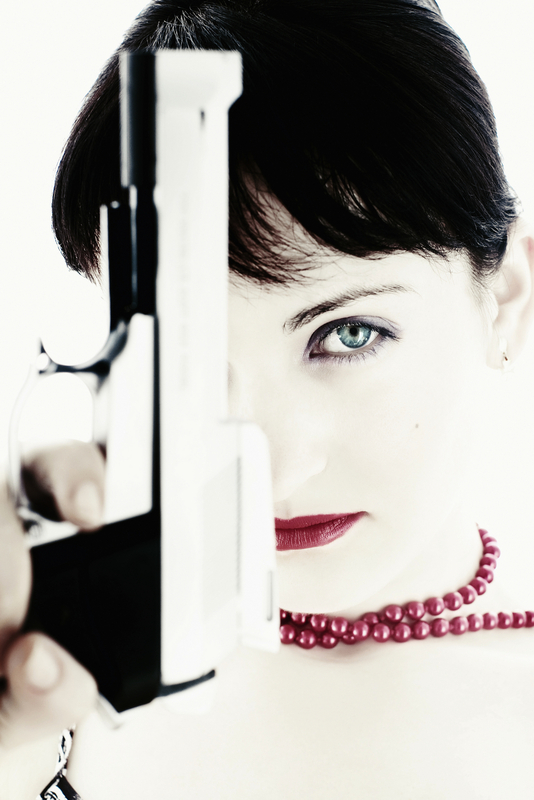 Krista: will help Diana host the Kiss and Thrill group blog author interview of you! Susan Muller! Congratulations, Susan, click the CONTACT US tab and let us know your address. Welcome back from the long weekend, readers! A QUICK REMINDER: Only 4 more days left to bid on fabulous trips, tickets, gift baskets, autographed books, jewelry, (our Kiss and Thrill cornucopia of critiques, gift cards, books and promotional help) and so much more at Brenda Novak’s Online Auction for Diabetes Research. Peruse and bid for a great cause http://brendanovak.auctionanything.com/ and help make this the highest donating year yet! And now back to our blog. Today, multi-published author STACY GREEN guest blogs about a topic she extensively researched for her newest release TIN GOD: the horror and prevalence of black market adoptions. What if you found out the child you gave up for adoption in the hopes of providing her a better life ended up sold as part of a black market adoption ring? Believe it or not, illegal adoption happens. When I researched this horrific crime for my plot in TIN GOD, I started calling family attorneys in the state of Mississippi, where the book is set, as well as several adoption organizations. Legally, attorneys are not allowed to charge a fee for matching a child to a set of parents. They can only charge a fee for the licensed adoption, and ONLY for the legal work. But the black market industry continues to grow. Illegal practices in international adoptions are becoming more and more common and some countries, like Cambodia, Vietnam, and Guatemala, are becoming a type of breeding ground for nefarious acts like buying and selling children as well as kidnapping. Switched and stolen babies are sold, as well as voluntarily relinquished children from unsuspecting birth parents to well-meaning adoptive parents. While some, desperate for a child, pay huge sums to brokers, others are taken in by attorneys who raise their legal fees in lieu of a finder’s fee. But it doesn’t just happen overseas. Fraudulent adoption happens right here in the United States. 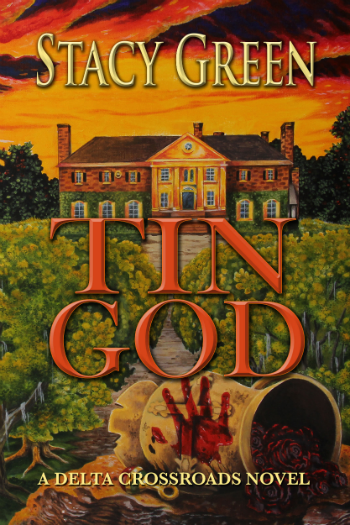 The story that inspired the idea for TIN GOD comes from a family law attorney in Jackson, Mississippi. A woman spent months posing as a social worker from various adoption agencies throughout the cities. She convinced couples to pay for her services by preying on their need to adopt and assuring them she could expedite the process. While most of them DID end up with an adopted child, this woman not only posed as a worker of an adoption agency, but scammed thousands out of innocent couples. Like Jaymee’s daughter in TIN GOD, these children’s records are often falsified or just plain don’t exist. There have been other types of cases where the mother simply didn’t inform the birth father, denying him the decision to decide whether to retain his rights. Georgia Tann operated one of the United States most notorious illegal adoption scams. She operated the Tennessee Children’s Home Society in Memphis and used the place as an unlicensed front for her black market sales from the 1920s until 1950. Tann used various manipulations to take children from birth parents – mostly poor, unwed mothers – and sell them to wealthy clients. And then there are the Cole babies. From the 1930s to the 1960, Dr. Katherine Cole is said to have placed more than 1,000 babies without legal documentation. Known as the “Cole babies,” most had a difficult time piecing together their identities, and for many, the truth was discovered after noticing that Cole listed the adoptive parents as the birth parents on the birth certificate. 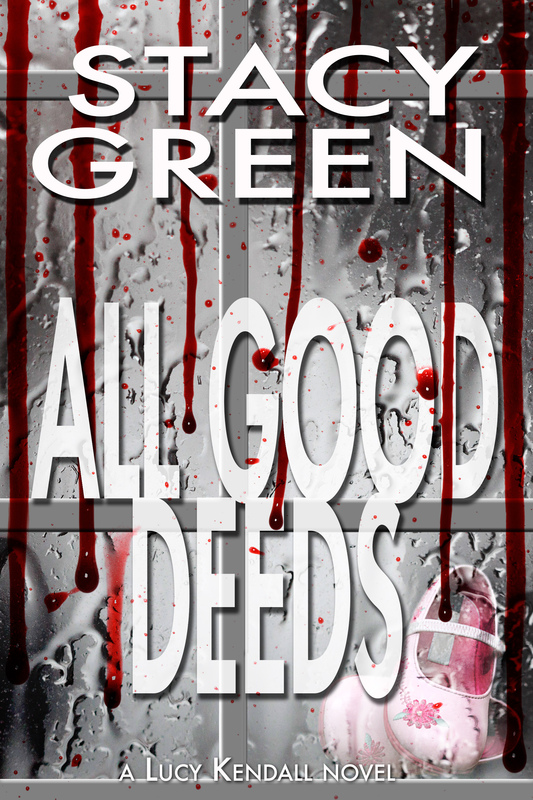 The horror of black market adoptions is the backbone of my newest release TIN GOD. Originally, Jaymee was mourning the death of a child, but that was darker than what I wanted to write. So my critique partner and I put our heads together, and she suggested looking into illegal adoption. I didn’t realize it was so prevalent in this country, but when I started researching, I realized this would be a great plot for a book. What to do if you suspect you or someone you know is a victim of black market adoption: If a parent or adoptive family believes they have been a victim of an illegal adoption, they can call their social worker, local police or FBI, or attorney general’s office. Thank you for being here today, Stacy and sharing your research on such a tragic crime. READERS: Stacy is giving away swag for one lucky commenter. Check back on Thursday to see if you won a TIN GOD pin, bookmark and book charm! 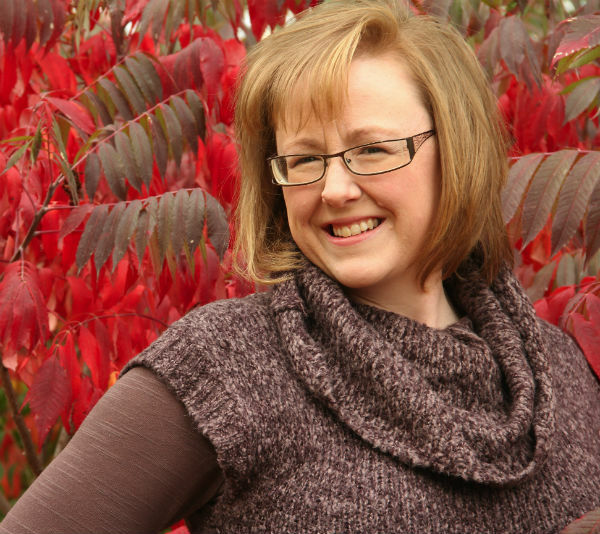 Congratulations to Sarah Wolf, winner of Cherry Adair’s newest release: ICE COLD! Sarah, please click on the Contact Us tab within the next 10 days and let us know where to mail your prize. Thank you to ALL commenters Tuesday and Wednesday. It turns out Cherry was traveling and ended up having no internet access. We look forward to hosting her again with her next release! OKAY! On Tuesday, December 11th, please help us welcome debut-author, Stacy Green, who will discuss her Nov 30th Romantic Suspense release: INTO THE DARK. After earning her degree in journalism, Stacy worked in advertising before becoming a stay-at-home mom to her miracle child. 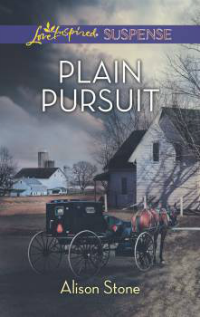 She rediscovered her love of writing and wrote several articles for Women’s Edition Magazine of Cedar Rapids, profiling local businesses, before penning her first novel. 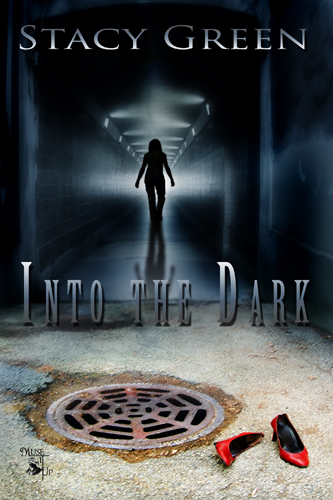 Her debut novel, Into The Dark, is set in Las Vegas and features a heroine on the edge of disaster, a tormented villain, and the city’s infamous storm drains that house hundreds of homeless. Sounds creepy, huh? Don’t miss Stacy next Tuesday!